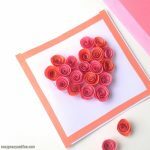 This tutorial will show you how to make an amazing 3D Heart Flower Card that is perfect as a Mother’s day card as well as a Valentine’s day card. 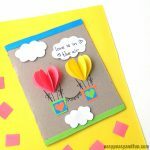 Simple and sweet, this DIY card will brighten everyone’s day. 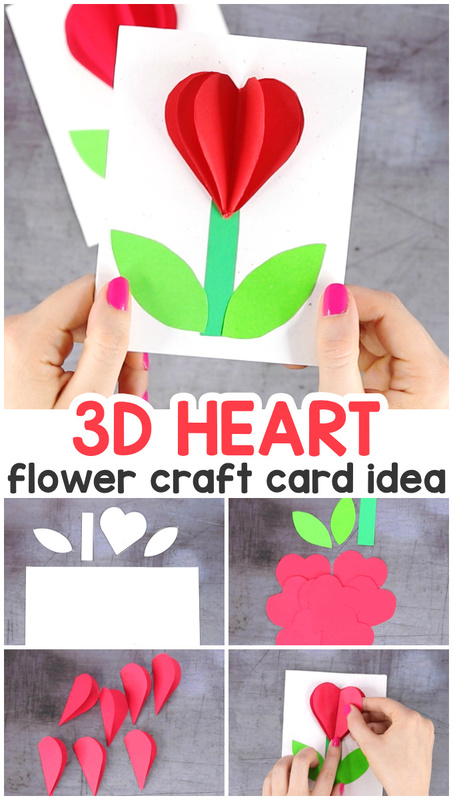 Be it a Mother’s day craft idea you are looking for or a V-day craft idea, this 3D heart flower card fits all needs. 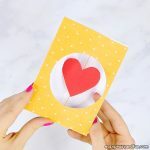 It’r really easy to make and you can even use our handy printable template (available to our members) to make the process even smoother. 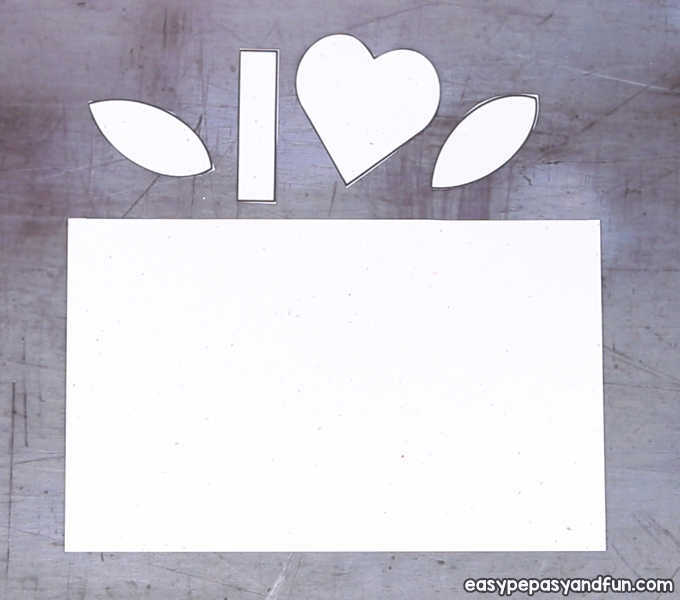 Print out our template (optional). We printed ours on white paper, as half of the template serves as the card. 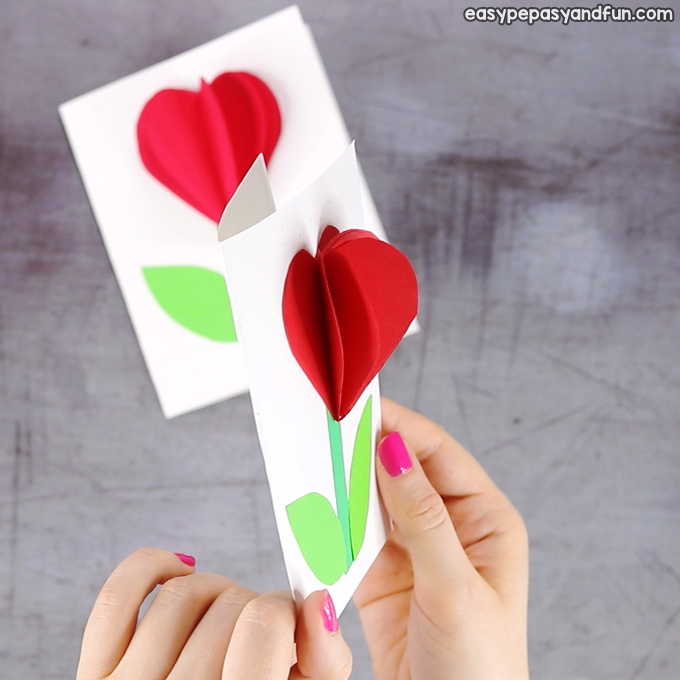 Fold the card in half and set it aside. 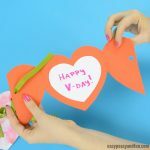 Trace the heart shape on construction paper in floral color – red, pink or purple work best for this project. 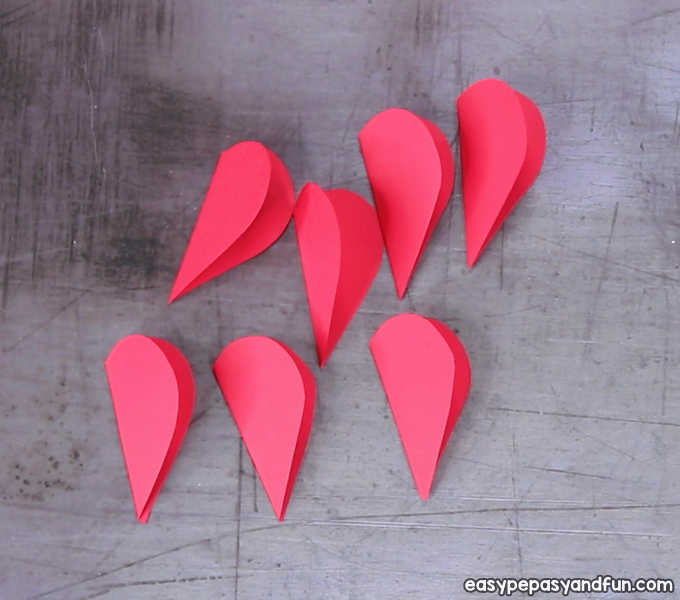 You’ll need a few heart shapes, you can make as little as 4, but more will look better. 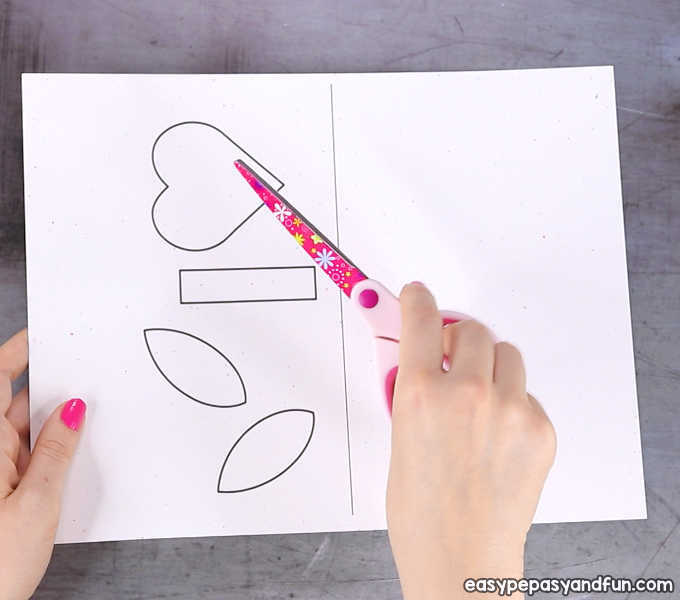 Also trace an outline of the stem (1x) and leaves (2x) on green paper (you can use two shades of green). Grab the card base. 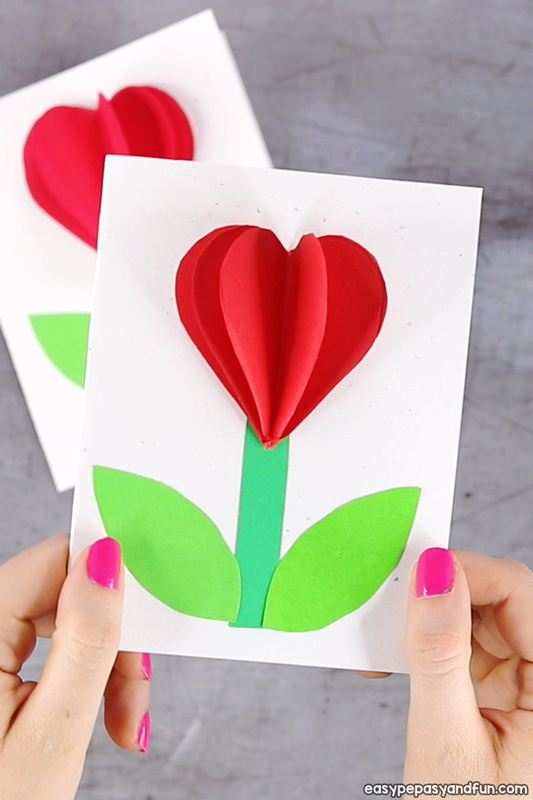 Apply glue on the stem and stick it on the card. 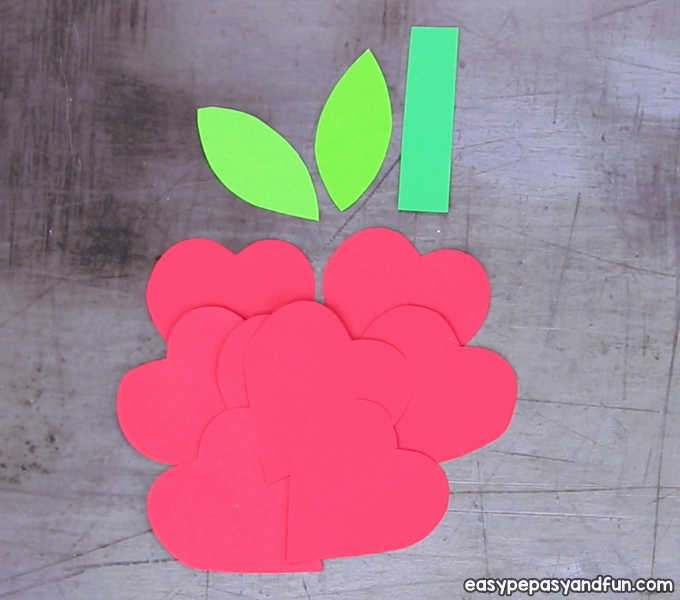 Do the same with the leaves and one of the hearts. 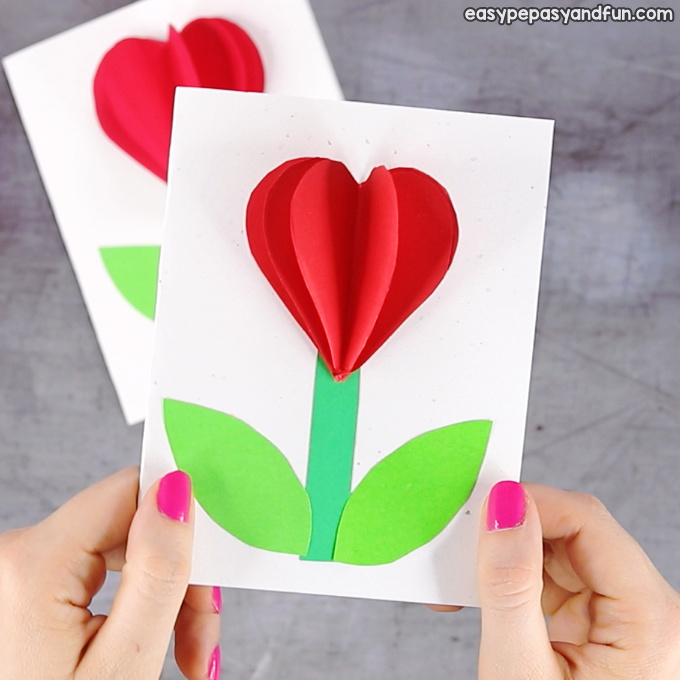 Fold the other hears in half. 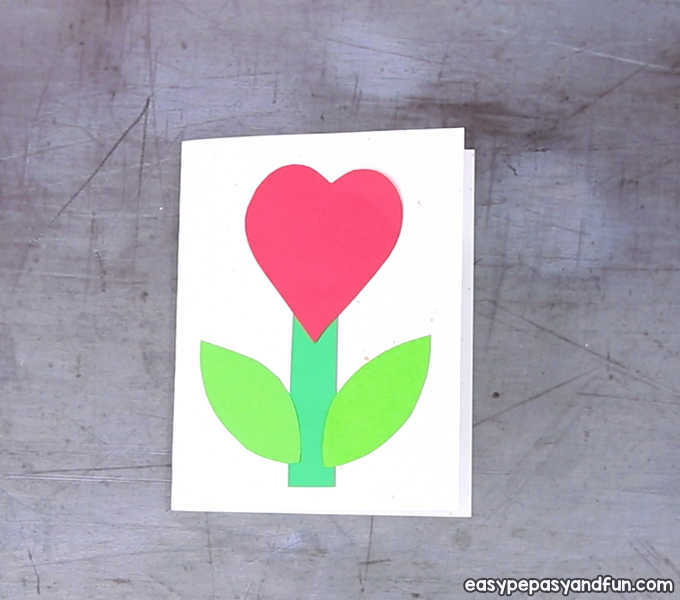 Apply glue on the heart on the card. 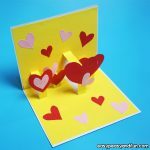 Stick two folded hearts on top of the heart on the card. 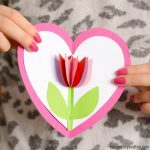 Repeat until only one heart is left. 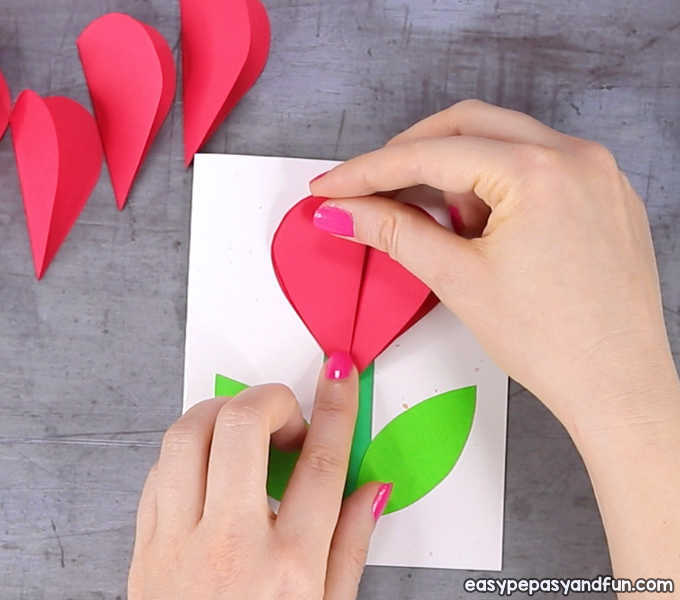 Again apply glue across the “whole” heart, unfold the last heart and stick it on top of the two halves. Press down for the glue to set. All done! 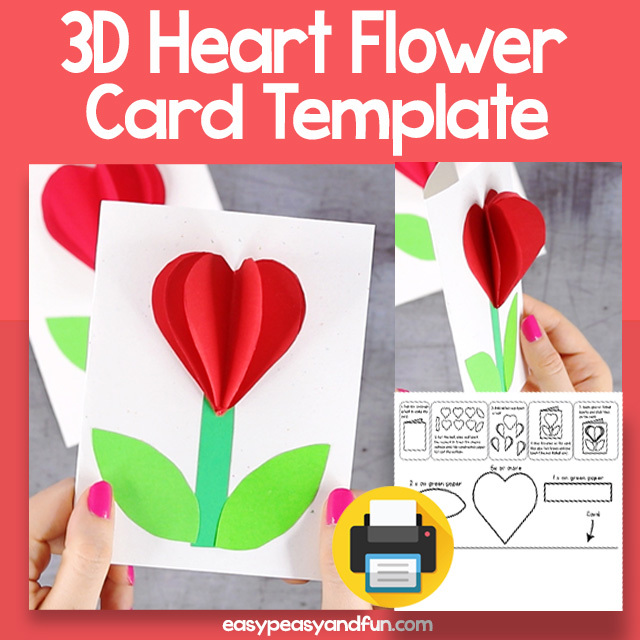 Your 3D Heart Flower Card is complete.